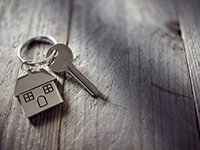 When you are owning a property in the Tampa, FL area and renting out it for your income, then you will face tenant eviction one day or the other. Though it is a job that many landlords dislike, but they have no other option than taking it forward to get back their property. There are several reasons for homeowners to avail a tenant eviction locksmith services, but whatever be the reason going through legally and with help of a professional locksmith such as Master Locksmith Store can keep you out of danger always. We not only help evict tenants but also prevent the forceful entry of tenants into your premises.